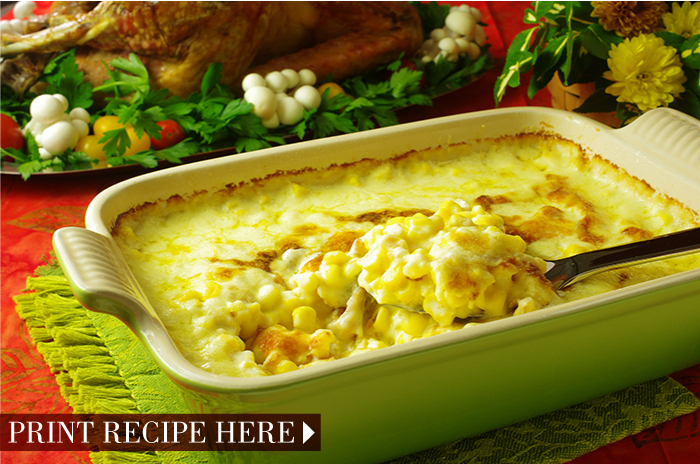 This luxuriously creamy and comforting corn dish is the most requested recipe from my Thanksgiving classes. 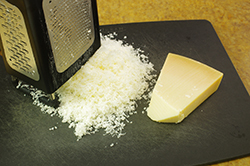 I think the reason is that the simplicity of the ingredients belies the sophistication and scrumptious flavor. 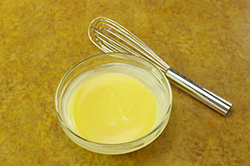 You may substitute whole milk for the cream, but the finished dish will not be as luxurious. 1. Preheat the oven to 350°F. 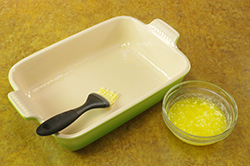 Brush a 13 x 9-inch baking dish with some of the butter. 3. 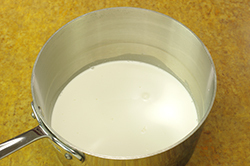 In a large saucepan, heat the cream until it begins to boil. 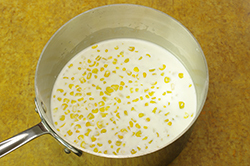 Add the corn, salt, and sugar and heat, stirring occasionally, until the mixture is almost at a boil. 4. 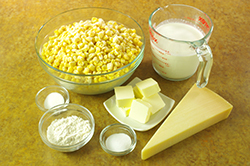 In the meantime, make a paste out of the remaining melted butter and the flour. Stir it into the mixture in the saucepan and cook until thickened and the liquid comes to a boil. 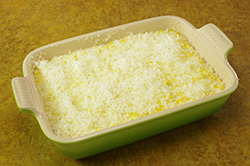 Remove the pan from the heat, transfer the mixture to the prepared dish (or ramekins), and sprinkle with the remaining 1/3 cup cheese. 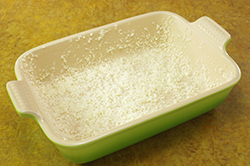 Diva Do-Ahead: At this point, you can let cool, cover, and refrigerate for up to 3 days or freeze for up to 1 month. Bring to room temperature before continuing. 5. 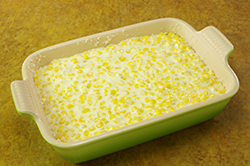 Bake the corn until bubbling and golden brown, about 30 minutes. (Individual ramekins will take 15 to 20 minutes.) Serve immediately. I usually don’t’ recommend skim milk in cream sauces, because it will sometimes give the sauce a bluish tinge – not attractive at all!